breakfast of champions « AFTER THE POP ! life seems to be suddenly picking up the pace. i got a call from the bank yesterday which informed me that the underwriters were going to make a decision on my loan modification. they requested that i take the place off the market – which i did. this doesn’t erase the flux my life is in, but it does create a sense of finish. i had lunch with a colleague at parallel 17 yesterday as well. it was great to see her and we caught up quite a bit. i asked her to consider joining the board of afr for a year to collaborate on refocusing the mission and agenda for the organization. they have received several grants within the last month and they will need to do some fine-tuning on their efforts. i absolutely love the idea of making recovery a more visible option for everyone and so i have decided to work more closely with their efforts. i was surprised i asked her. and i am certain she was just as surprised. my heater has not been working so i am waiting for a tech to come out and give it a checkup. it has dipped below freezing a couple of times this week and this morning my nips are a bit turgid. i begin work on the dually-diagnosed treatment groups starting this week. there are a couple of training sessions and a couple of coordination meetings as well. this is a new adventure for me and a new direction for my work. it’s titillating, to be sure. 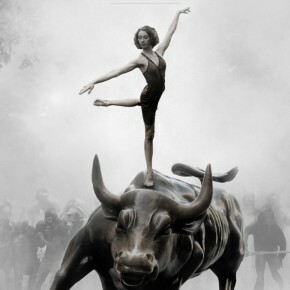 i have become enamored with the “occupy” movement. things have been broken in our country for some time and the apathy surrounding that seems to be shifting. this is something to celebrate in my eyes. i am not naive enough to believe that this will change policies immediately, but i am genuinely relieved that citizens are exercising their right to participate. this seems to be what a democracy requires to remain. for my money (ha), there seems to have been a shift of financial and political power that took place when the twin towers were taken out in 2011. i have never felt secure that the ragtag al queda were capable of pulling that event off so deliciously on their own accord. i got an email from a colleague who is a counselor with the mile high meth project. he wrote that he had heard good things about the stonewall huddle and was requesting that he come by and talk to my group about his group. i invited him and he came. there were 3 guys there who are currently dealing with meth issues and so hopefully it gave them a sense of options and hope. for me, it signaled a 360 degree revolution since i worked on getting mhmp going. and the resultant triggering of ptsd changed my life forever. i have grown enormously since then, and the visit by the program’s current (there have been several) counselor added an underline to this fact for me. it honestly felt good. This entry was posted in 2nd stage recovery, advocates for recovery, denver, mile high meth project, parallel 17, recovery.